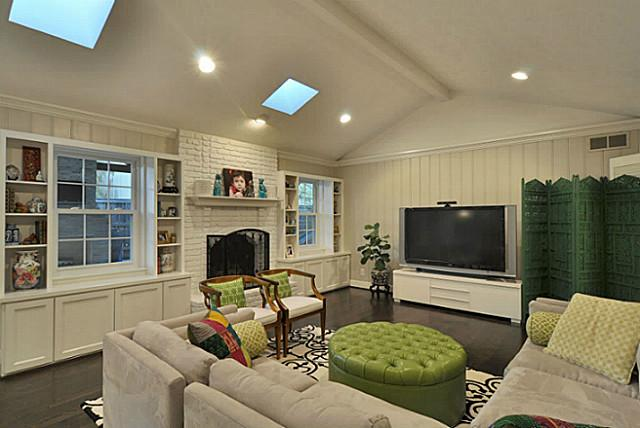 I call dibs on the couches! Look at those beauties! 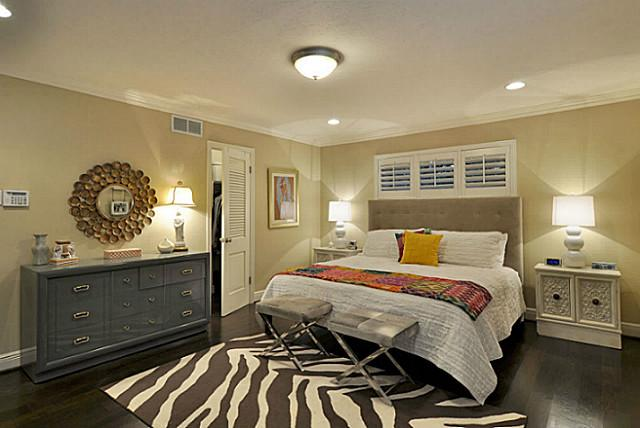 Seriously, this is a not-to-be-missed estate sale in Northwood Hills, folks. 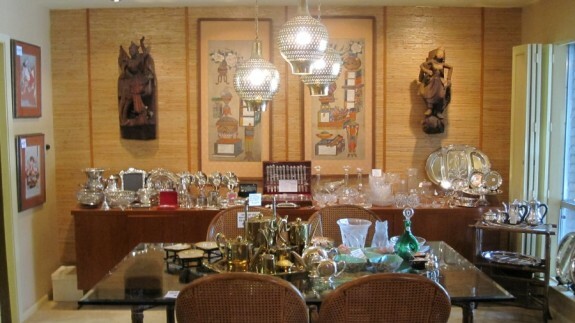 Just from glancing at the photos on the Janelle Stone Estate Services website, I can see that there are tons of great antiques and furnishings on offer in the estate of Alice Snavely, personal secretary of Neiman Marcus founder Stanley Marcus. I guess good taste is a prerequisite when you work for one of the best-known luxury retailers in the world. 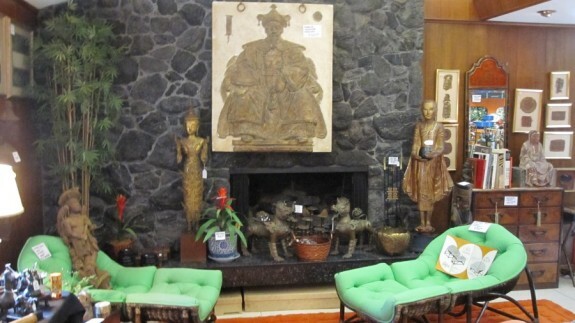 Antiques and jewelry whose designs span the globe, with a significant stop in Southeast Asia with all of the gilded Thai Buddhist figures, there are just tons of fabulous finds in this estate. As Janelle Stone put it, “The quality and quantity are unequaled. She only bought the best of the best. Neiman’s was her playground.” You can tell. This incredible woman, who was loyal and driven and trusted, has some of the most beautiful things. 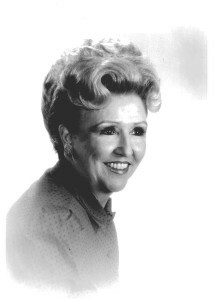 She will certainly be missed! 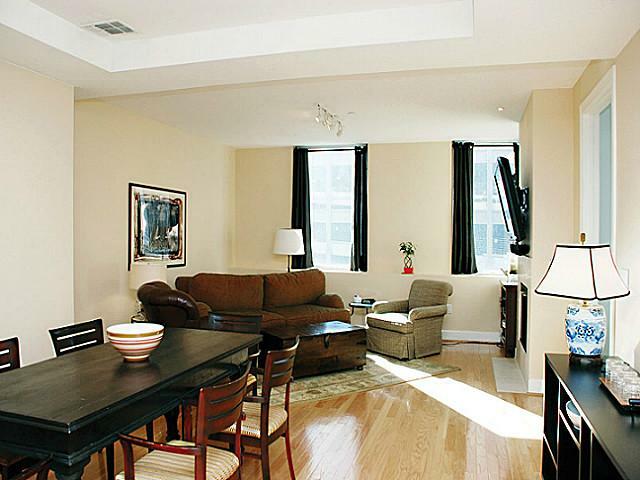 The furnishings are high-quality midcentury-modern style couches, chairs, and setees from Baker and Henredon. Gorgeous fabric and upholstery. The lime green ones with the rust-colored piping are just fantastic. I have a serious case of the wantees for those couches, and they’re in immaculate condition. Snavely also had an enviable collection of fabric and clothes. You will have to pick your jaw up off the floor when you see the list of what’s on offer. AMAZING! The home is open from 9 a.m. to 5 p.m. today (Friday 1/31) and tomorrow (Saturday 2/1). 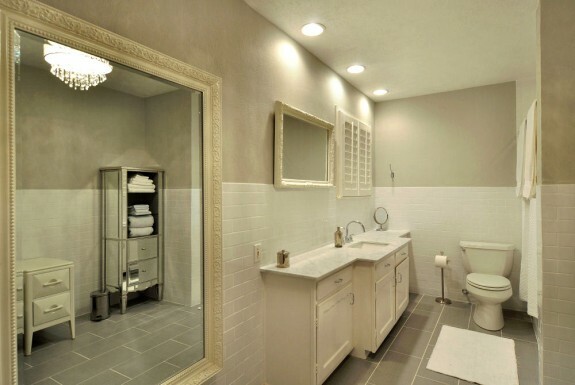 There will be plenty of security, and the home is not handicap accessible. Bring your own paper and boxes for wrapping up your treasure! I spent the morning last Wednesday with Mark and Patty Lovvorn at their home, the Stanley Marcus estate, with Channel 11 shooting a long segment there for their ten o’ clock news this week. Mark had some insights on negotiating with Mr. Marcus — he was tough! 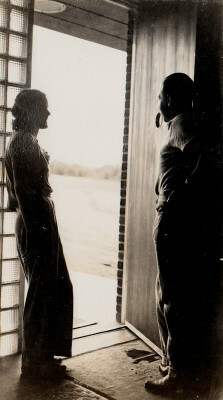 He and agent Nancy Johnson also described the hundreds of famous people who visited the home at 10 Nonesuch Lane. 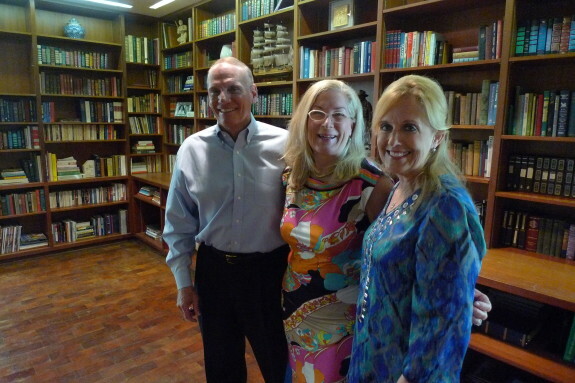 Here I am with Mark and Patty in the famous Marcus library on the leather floor Mr. Stanley salvaged from a leather shoe display at the downtown Neiman Marcus store — waste not, want not. The books in here are the Lovvorn’s. This part of the house was pretty much untouched during the renovation, even the sink in the office bath is original and in such perfect shape I thought it was brand new. The wood used everywhere, here in the library and upstairs in the custom closets, is redwood. Mrs. Lovvorn — Patty — also told me that the exterior of the house was, at one time, sort of a 1950’s red brick, before they painted it all white. 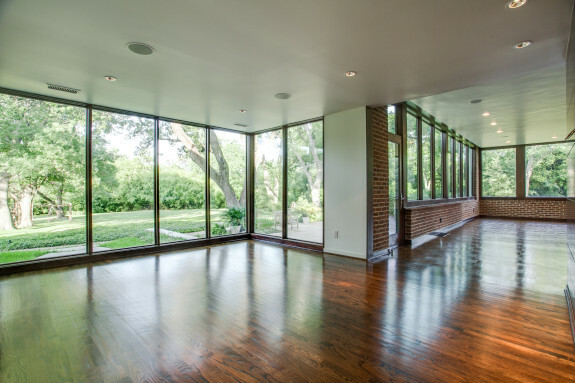 Mark Lovvorn also told us how the foyer of the home was understated in true mid-century style — the foyer serves as a vehicle to get the guest moving into the house where the real architectural elements are, such as those dramatic windows out to the estate property and pool. It’s quite the opposite of today’s grand-winding-staircase la-la-la foyers. Bu it was the kitchen where I got some true insight into what the original house looked like. 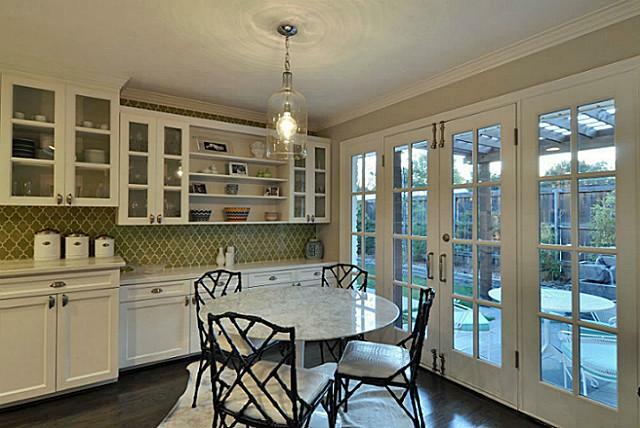 Patty Lovvorn told me that when they bought the house, it had orange Formica counters! The kitchen was quite choppy and though they did replace those orange counters, she still had (and used) the old cabinets and appliances the Marcuses had used until this renovation. 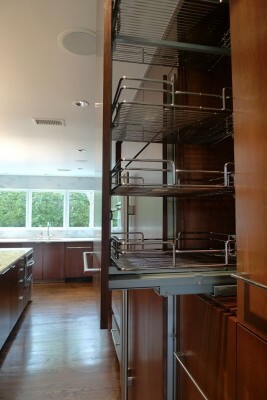 The wine room was not really “replaced” by the laundry room — it had just been a small wine closet. The Lovvorns simply incorporated that space into the expansion and improvement of the laundry room. 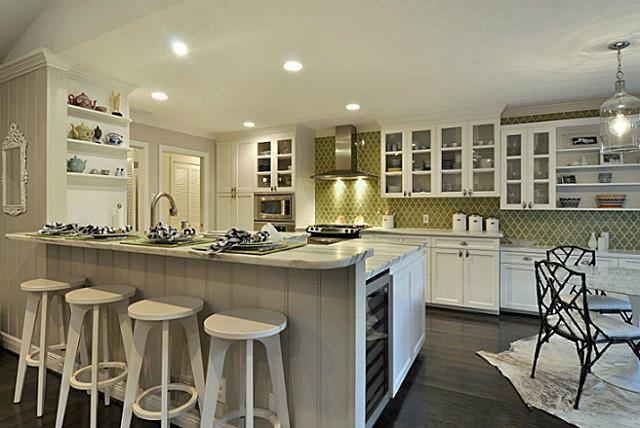 There are plenty of cabinets to store wine now, and even a small stairway to the basement right in the kitchen that would make a great wine subterranean nook or a great tornado shelter. And this I cannot believe: Mark Lovvorn was not only renovating his historical home, he was Chairman of the Planning and Development Committee of First Baptist Church, which was in charge of all planning, development, negotiation, architectural and construction oversight, budgeting, fund raising, etc. for the church’s $134 million new campus in downtown Dallas… that took more than five years to plan, build and complete! 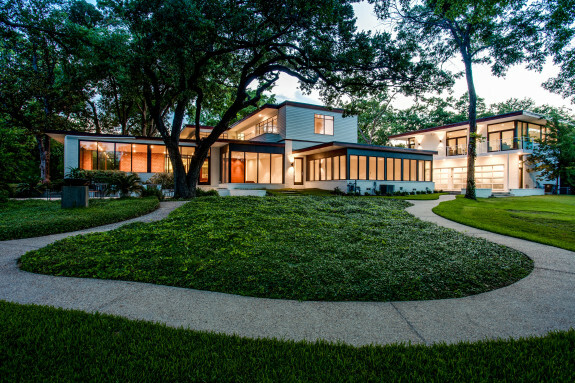 You have heard of this home, it’s a landmark Dallas estate fresh from an architecturally sensitive, three-year long renovation. The address is 10 Nonesuch Road. 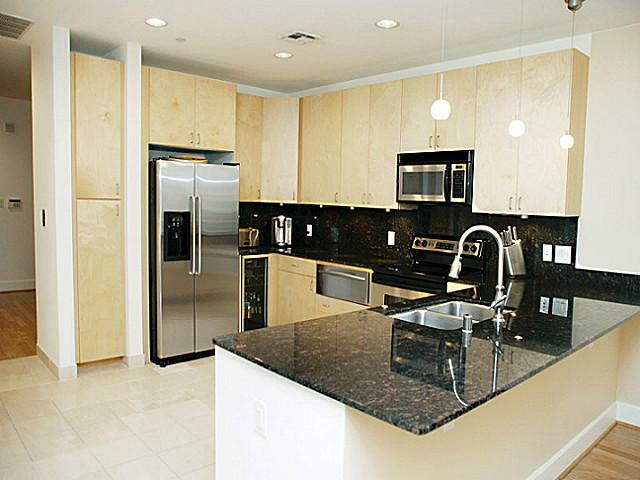 There are 10,000 square feet, which now includes four living areas, three bedrooms, four full and two half baths, totally new kitchen, laundry room and bathroom updates, library, study, office, sauna and a catwalk to a new two-bedroom, two-bath guest home of 1,200 square feet that sits above the three-car garage. The home has just been listed with Nancy Johnson of Dave Perry-Miller. 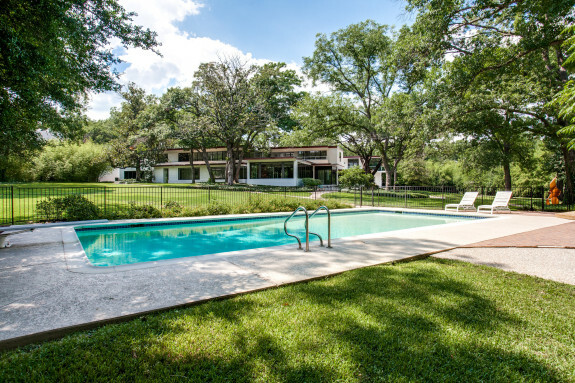 It includes the original pool and a creek that surrounds the estate. 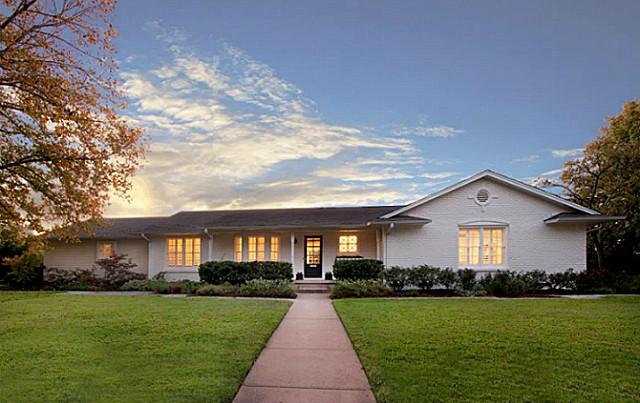 I would say this about only a handful of homes: There is absolutely no other home in Dallas like 10 Nonesuch Road. Built in 1937, it has only been owned by two families, the Marcuses and the Lovvorns, who bought it from the retail genius in 1994. It is a home filled with history and stories of famous visitors, weddings, parties, those beyond-wild Neiman Marcus Fortnights, signifying the epitome of a retail era we no longer know. 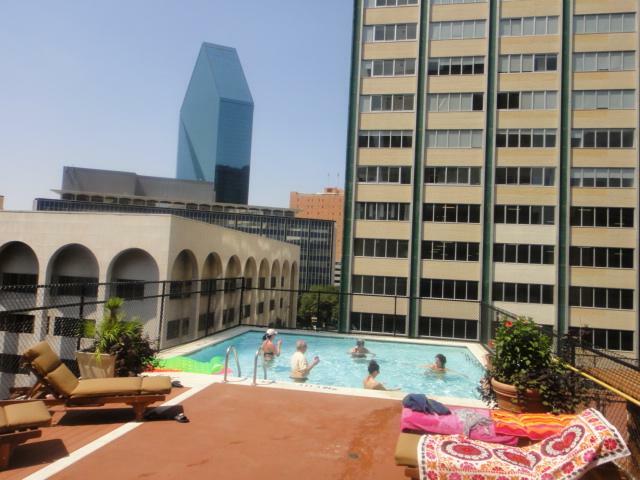 It is also a home that reflects the evolution of our city and sophistication, as Neiman Marcus clearly put Dallas ahead of any other Texas city in terms of glamor. And 10 Nonesuch represents Dallas’ aesthetic march towards Modern architecture, which our city is known for, but it also stands for the Neiman Marcus lore. 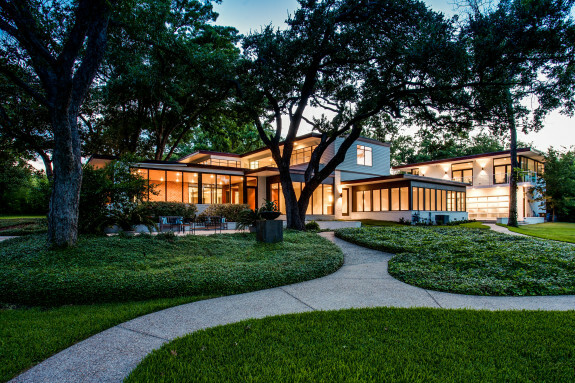 When he and his wife built it, Stanley Marcus believed that it was the very first fine contemporary home in Dallas. It has other “firsts” as well: the library, for example, has a leather floor that was made of the same imported leather once used for a display wall in the Neiman Marcus shoe department — the configuration entirely Stanley Marcus’ idea. 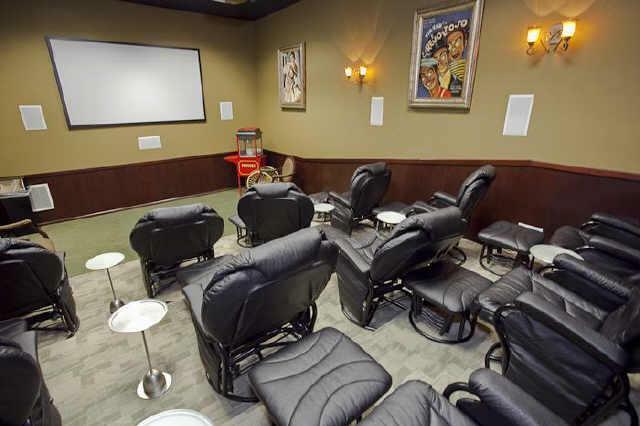 The original projection booth is still in the home where he entertained the likes of Grace Kelly, James Dean, Eleanor Roosevelt, Christian Dior, Lyndon Johnson, Nelson Rockefeller, Estee Lauder and distinguished designers from all over the world. 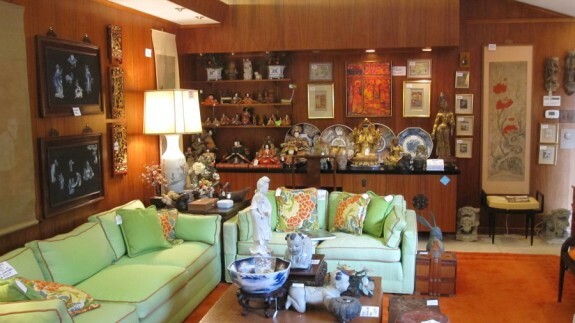 The same mahogany wood used in the expansive his and her master closet is there, custom built by Stanley Marcus to best preserve and house the fruits of his empire. There is the same large, winding driveway for a multitude of cars and valet because the Marcuses entertained, to put it mildly, frequently, abundantly. Once the Queen of Thailand came on a visit with Issey Miyake of Tokyo with an entourage of 30! Now there is a brand new kitchen, sleek new plumbing fixtures in all six bathrooms, a new laundry room more reflective of a self-help age and water conservation, a circle drive off that winding driveway, a second walk-in closet in the master and a private roof-top deck, and a catwalk to a 1200 square foot two bedroom, two bath guest house with kitchen. 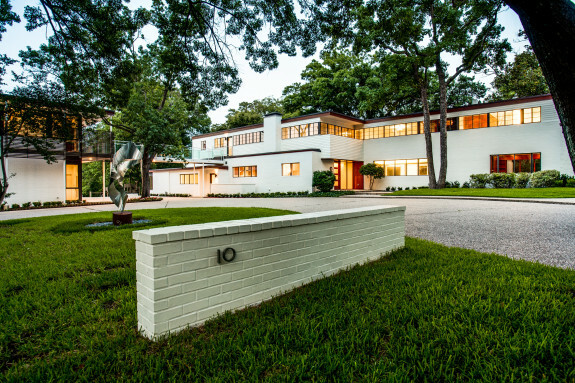 Like most young affluent couples, Stanley and Billie Marcus wanted to build a home in Dallas to raise their three children. Six and a half wooded Lakewood acres three blocks from the water were given to the young couple by Stanley’s father, Herbert, who lived nearby. (Stanley Marcus was born in The Cedars.) As he tells it in his autobiography, “Minding the Store”, they did what any building couple does — create a budget and find an architect. And here is where another famous name in architectural history puts his imprint upon this house. 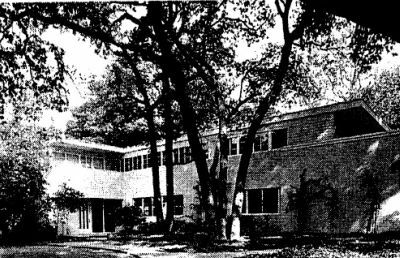 Frank Lloyd Wright selflessly offered to design the Marcus home — “why take an imitation?” he modestly proposed to the Marcuses. 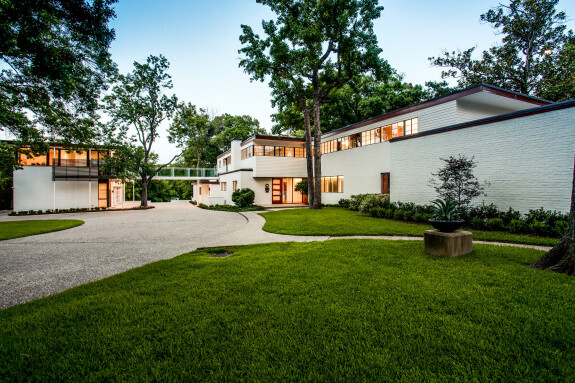 “In 1936 my wife and I paid a visit to Frank Lloyd Wright at his home, Taliesen, in Spring Green, Wisconsin for the purpose of inquiring whom he would recommend to design a contemporary home for us is Dallas. When I asked whether he recommended Richard Neutra, the California architect, or Bill Lescaze, the Swiss architect resident in New York, Wright replied, “Why take a substitute when you can get the original?” writes Marcus. It was the thick of the Depression. The Marcuses had budgeted $25,000 for construction, a huge amount back then and significantly more because of the land gift. 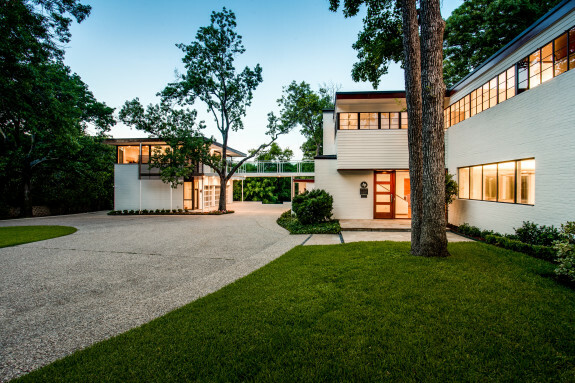 In an insightful description of the architect, Stanley Marcus describes Wrights’ architectural plans based on the one day he visited Dallas in January, 1934, when it happened to be 70 degrees. Wright had other headstrong ideas about the Marcus home. He provided little or no closet space, saying “closets were only useful for accumulating things you don’t need” — this to one of the nation’s great retail giants! Wright dragged the plans on, occasionally even asking Marcus for a loan. 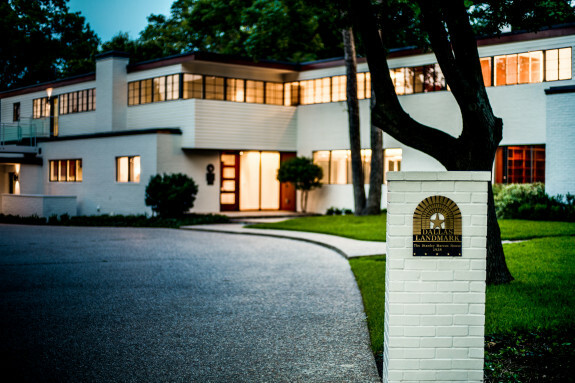 Ultimately, a local Dallas architect named Roscoe DeWitt, who the Marcuses had hired to act as a sort of “local agent” for Wright, got the job. 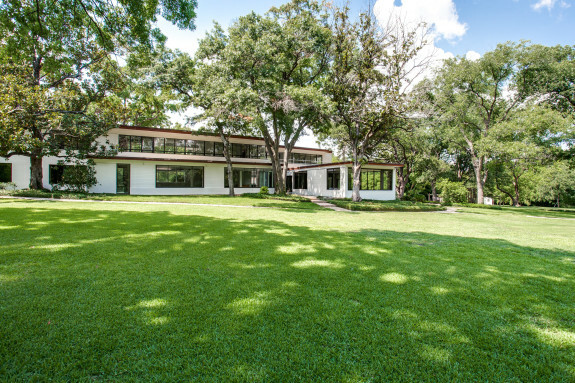 DeWitt had already designed one contemporary model home for the Texas Centennial celebration at Fair Park, the home moved to 6851 Gaston thereafter and remaining one of four or five Art Modern in the city, according to Douglas Newby. DeWitt, a Dartmouth and Harvard grad, also specialized in building courthouses and hospitals and ultimately designed two Neiman Marcus stores. It is interesting to note, and gives great insight into the brilliance of Stanley Marcus, that he and his wife were clearly firm with Wright about their preferences. For example, they noted the “sweating walls” while visiting Taliesin and told Wright they wanted under no circumstances sweaty walls in Dallas. They wanted good acoustics with high ceilings. Though they had raised the original building budget up to $30,000, Wright’s preliminary estimates came in at $90,000 to $150,000. The home was finally built in 1937. In his autobiography, Stanley Marcus says DeWitt wrote him later that all great architects have their “betes noir”. In Wright’s case, it was his roofs. For Mies van de Rohe, it was his posts. Apparently Dr. Farnsworth had to buy sheep to keep the weeds down around Farnsworth House in Illinois! 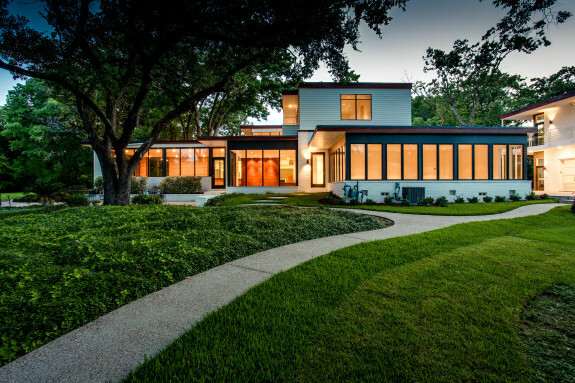 In 2008, the current owners, Mark and Patricia Lovvorn, asked the city of Dallas to “remove the Structure by demolition … in order to build a more energy efficient new home on the property and to occupy the new home as our permanent residence.” That didn’t happen. 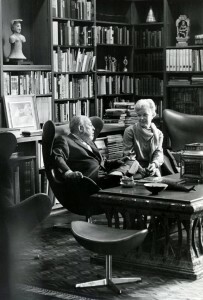 Robert Wilonsky, a reporter then at The Dallas Observer, spent two days in the DeGolyer Library at SMU, devouring papers and files related to the construction of the Nonesuch house. Somewhere in all that, I think he was smitten by 10 Nonesuch and didn’t want to see her go. Neither did Dallas or state preservationists. The Lovvorns quickly changed their minds and kept the house, vowing to restore it with every ounce of historic integrity. 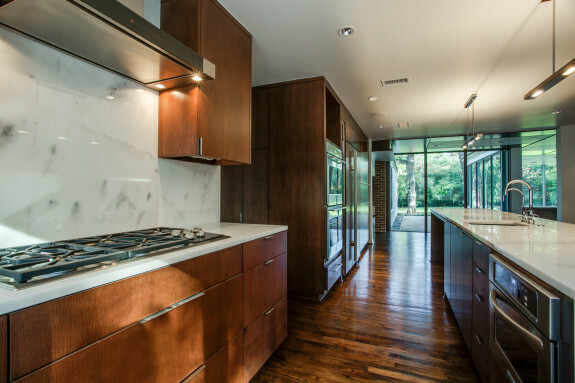 W2 Studio spent two years refurbishing the house, adding merely 400 square feet to the original 9,558. It is listed for $5.4 million dollars with Dave Perry-Miller’s Nancy Johnson, known as the “queen” of Lakewood real estate. It is on what is left of the land from Herbert: 2.99 acres tucked in a private shared gated acreage with three other graceful homes, none historic. Not to outdo your delicious find, Joanna, but I think I’ve died and gone to heaven. 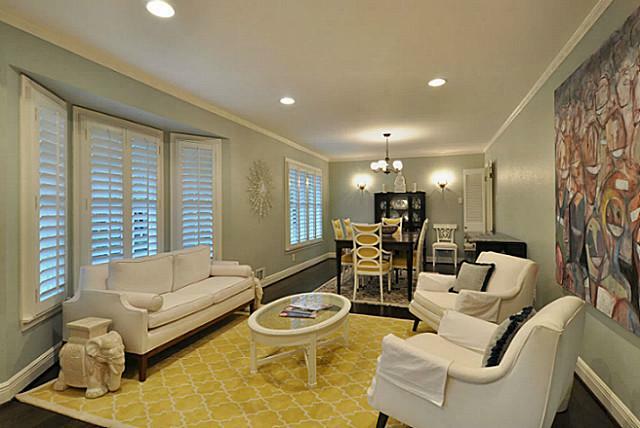 How can this home at 11 Nonesuch Road be so darn tootin’ CUTE? 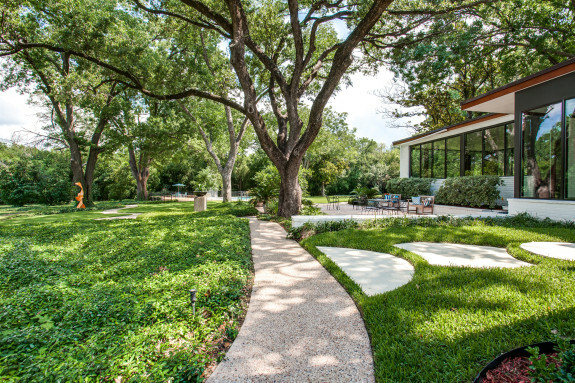 First of all, highly creative owners — Mary Poe is a marketing genius over at D Mag, and her husband, Bob, is a well-known Dallas artist. 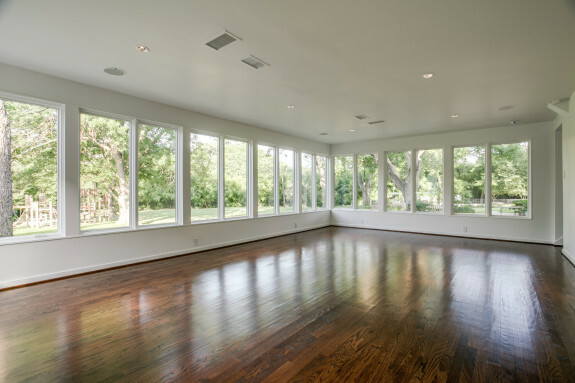 And you know buying a home from an artist, architect or designer adds in even more value because it is turn-key: all the design work has been done for you. 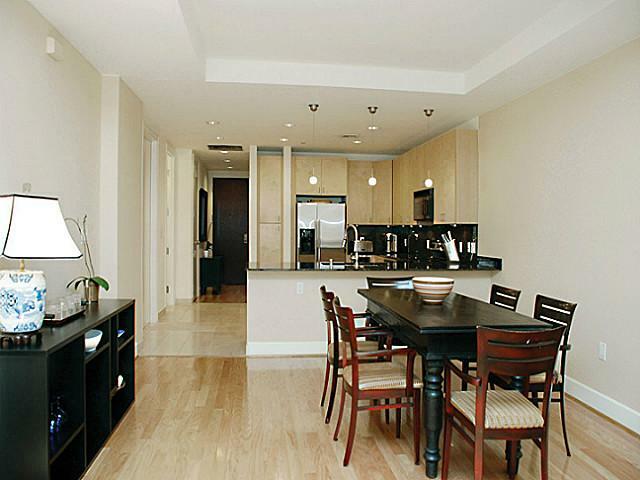 You’ve got LOCATION on a fabulous street that will give your return address some panache and raised even the most Botoxed eyebrows. You’ve got 2177 square feet with a killer outdoors area … three bedrooms, two and half baths all of which have been redone by the best folks in town, two living areas and that outdoor living room with a dry-stack stone fireplace, vaulted and beamed ceiling and waterfall. 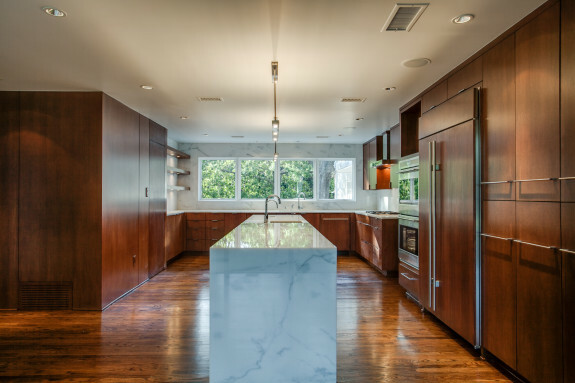 I haven’t even gotten started on the kitchen — all redone with Carrera marble tops, Walker-Zanger backsplash, gas cooktops, double ovens, island for prepping. 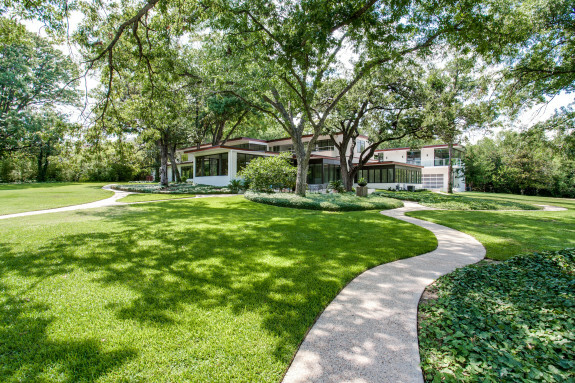 Best of all, your neighbors include the old Stanley Marcus estate at 10 Nonesuch Road, the home of Stanley Marcus for about 60 years, and host to everyone from Eleanor Roosevelt to Lady Bird Johnson to Jerry Lewis and Dean Martin, just to drop a few names. Asking $550,000 and hate to tell you, but it already has a contract on it. 10 Nonesuch is still owned by Mark and Patricia Lovvorn, who, during the heat of one hot August, toyed with the idea of scraping it (for better energy efficiency) back in 2008, even after they initiated historic designation proceedings back in 1999. The Lovvorns changed their minds, the house is still there, not so energy efficient but more than efficient on charm and history! Did you know that Stanley Marcus fired Drank Lloyd Wright over this house? Yes, the man who turned Neiman Marcus into a retail empire fired Frank Lloyd Wright” because the home he designed at first had no bedrooms (Wright told Marcus to sleep outside, since the weather in Texas was so mild) then no closets (they just accumulate junk and clothes, he told Marcus) and no screens (let the wind blow the bugs away, he told Marcus). 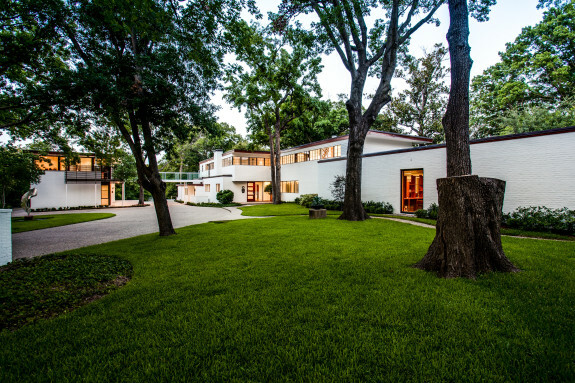 And after the house bid came in way over budget (Marcus had wanted to spend $45,000) Marcus hired Dallas architect Roscoe DeWitt to build this International Style. 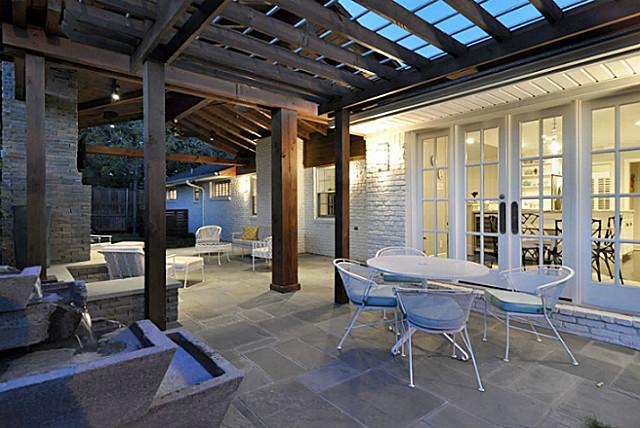 10 Nonesuch cost about $150,000 to build back in the mid-1930s, post the Great Depression. What’s that, like a million in today dollars? 11 Nonesuch was built in 1961. And it has closets.